We'll aim to fill the table with the feisty princesses only. The final package should look something like this. Perhaps Pocahontas should have been here too? 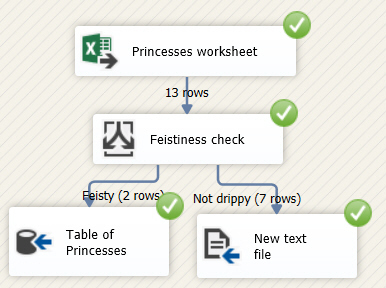 Test your package generates a text file of non-drippy, non-feisty princesses, then close it down.